Deidra is the President of The Skye Group, a firm she started to bring value and energy to those struggling in the weird world of marketing and communications. Deidra got her start with an internship during graduate school with The Kellogg Company, got a brief primer in how cornflakes are made and learned to bring the thinking of “process” to work. She then moved on to The Amway Corporation, where she learned not only the importance of soap, but how a company fills a space globally. After the manufacturing world, Deidra found herself in health care for the next 13 years of her career. 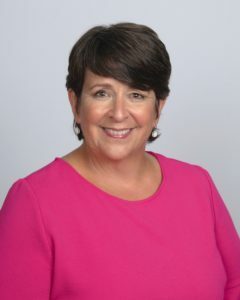 In her health care roles, she focused on integrating web, internal communications and internal and external marketing, tying it all into operations, all the while taking into consideration of how all of it impacted the patient. Deidra brought her years of experience and learning together during her stint at mmpc®, overseeing marketing and communications for all of its 300+ providers, 60 offices at 30 locations. She realized she could bring this knowledge and experience to more people, The Skye Group was born. It was a good day. Deidra is able to provide guidance and expertise to those “desperate for help” as one business owner put it recently. More often though, business owners realize that they need to do something and struggle where to start and where to spend their time and money most effectively and that’s where The Skye Group soars. Deidra received her undergraduate degree from Central Michigan University, her master’s degree from Western Michigan University and has completed PhD coursework at Western Michigan University. Deidra was a 2012 Athena Grand Rapids nominee, sits on the board of Grand Rapids Opportunities for Women (GROW) and volunteers for WGVU Women & Girls Lead and Alliance for Women Entrepreneurs (AWE) committees. When she isn’t helping the overwhelmed and overworked business owner, she enjoys spending time with friends, figuring out how to travel to warm destinations as much as possible during Michigan winters and giving love to her two mutts, Mabel and Lucy. Learn more about Deidra on LinkedIn.